Men and women who are missing one or more teeth can turn to the doctors and Smile Team at Advanced & Comfort Dentistry in Whitehall, Pennsylvania, to replace them with dental implants. Implant dentistry is a permanent tooth replacement solution that can restore the smile while preventing jawbone loss. Learn more about the many benefits of dental implants by calling the practice, or schedule an appointment online. Dental implants are custom made, fabricated teeth inserted into the gums and attached to the jawbone. Unlike dentures that sit on top of the gums, dental implants are shaped like the natural tooth structure to replace a single tooth, so the fabrication runs all the way from the root to the crown. The doctor can replace a single missing tooth with a dental implant, use multiple dental implants to create a bridge, or support a set of dentures with dental implants. When would I need to get dental implants? Missing teeth can take away from the quality of the smile and also make it difficult to eat and speak clearly. One of the risks associated with missing teeth is a gradual bone loss, so your doctor might recommend dental implants to not only improve the smile, but also to prevent bone loss in your jawbone. The jawbone starts to deteriorate when there is no root to stimulate the bone and this can cause facial deformities or oral health issues later in life. Since the base of a dental implant is inserted right into the jawbone, implants can help prevent bone deterioration over time and also preserve the facial structure. Dental implants offer several benefits to the patient because the fabricated tooth works just like a real tooth. With proper care, dental implants will last a lifetime. 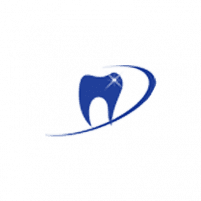 Since your doctor fuses the dental implant directly to your jawbone, they need to perform the procedure over several appointments through oral surgery. Dental implant surgery involves attaching a titanium screw, the base of the implant, to the bone tissue where the tooth is missing. Once the bone attaches itself to the implant base through a process known as osseointegration, your doctor can attach an abutment to the top of the titanium screw. This is the part that sits above the gum line and serves as the holder for a crown. A custom crown attaches to the abutment to complete the entire implant. This crown is made to look and feel just like your surrounding teeth so the final result is a fully functioning tooth made out of fabricated, high-quality materials. If you are missing one or more teeth, consider the benefits of dental implants and how they can improve your smile. Call Advanced & Comfort Dentistry for a consultation or schedule your appointment online.